Two in one for Alwoodley Art Group! It’s been quite a while since I visited Alwoodley Art Group in Leeds. Working flat out as a designer in the centre of Leeds previously with plenty of overtime always kept me missing a chance to demonstrate for everyone there. Well, not any more! Creative freedom is the ticket these days so it was with absolute delight that when invited by Shirley Coles (Alwoodley art group programme secretary) to come and demonstrate a dramatic seascape cliff top view I was positively grinning like a Cheshire Cat! 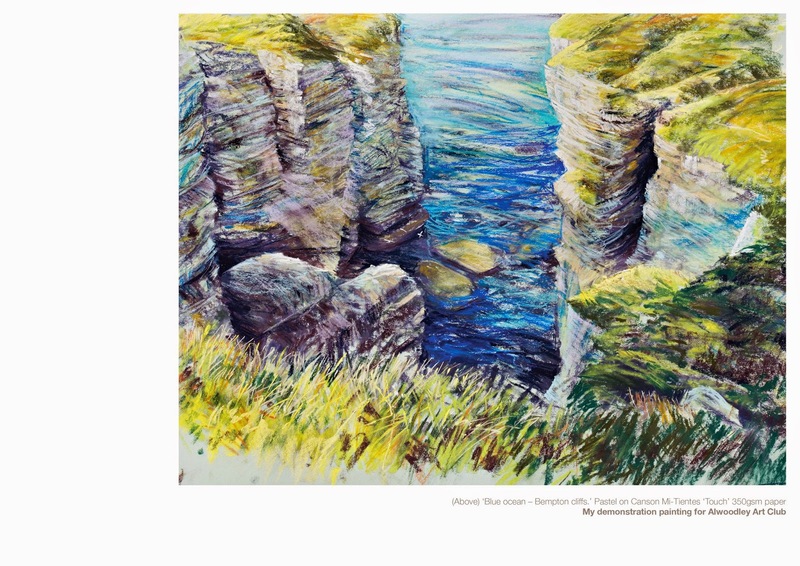 Two in one on the night – my favourite subject (a seascape scene from the East Coat of Yorkshire at Bempton) and reviving old acquaintances again to share creative skills with local artists in Leeds once more. Fantastic! Within 2 hours my usual energetic style, teaching as I demonstrated had produced this, a very expressive seascape of an area I have come to know very well and visit often. 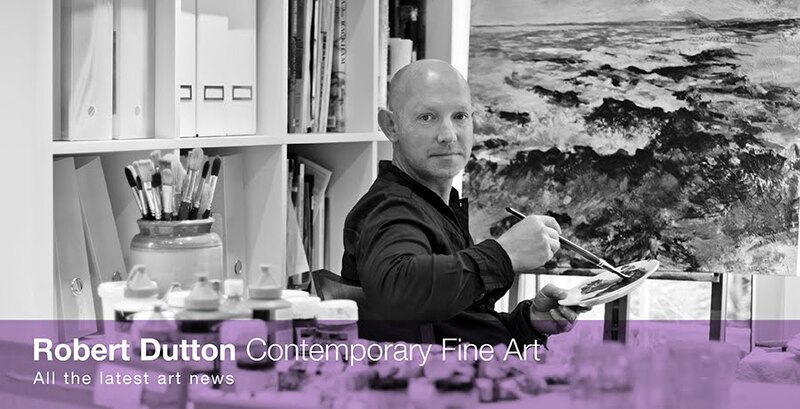 Having a subject close to your heart you are passionate about is key to the successes in a painting. Such passion shows in your work as this one does here for me. As with everything I tend to do these doubling up on my art activities, the finished demonstration pastel painting created on Canson Mi-Teintes Touch paper will form another great painting within an exhibited collection of new work for a joint show at The North York Moors National Park Centre in their beautiful exhibition space with the ‘Inspired By Gallery. Our show called ‘All Creations Great and Small’ features at least 20 of my own works alongside fellow artists Helen Patterson and Jo Garlick with sculptures by stef Ottevanger. We have all taken wildlife, nature and the of the North York Moors to our hearts and are creating our artistic interpretations of this unique landscape in a major body of work. So, look out for this one, it will have pride of place within this superb exhibition.